The vertical bands are called jailbars. That might help you narrow down your search. Thanks, that did help a lot! From what I can tell, it's caused by interference. What's strange is that if I flip my blanking switch off with no RGB signal being fed in, both the black screen for no video input and the OSD menu show the jailbars. I have the RGB wires soldered directly on the jungle IC legs, then going to a 75 ohm resister that's grounded to a ground on the the tuner (I'm suspecting this is the culprit? ), followed by the 220uF caps. Do you suspect the ground I'm using to be causing the problem? Before this mod, the set didn't show any jailbars. I wasn't sure the best place for ground and found this one from toning it out. Should I get the ground from the jungle? If so, which one? Is it safe to use the compsite jack's ground instead? Use the ground on the composite video jack. Make sure none of your wires get close to the flyback. Have you seen a bad cap leak white out of the top without bursting or cracking? This stuff definitely isn't adhesive on top. I cleaned it all up. And these big caps are slightly different than the smaller ones I'm used to using with the metal tops. Actually you know what, I can just remove this thing and test it out. These big ones are simple to replace. The white stuff is just thermal compound for the transistor. Nothing is stewing. Thats why i tell him to try to find bad solder joints instead, because the guys TV not turn on. Test pattern is from SNES over RGB. I think my original post (quoted) got buried because I was a new user on the forum. I just wanted to check one more time to see if anyone can shed some light on what might be wrong with my mod. I looked through most of the pages on this thread and haven't seen anyone else have this problem. 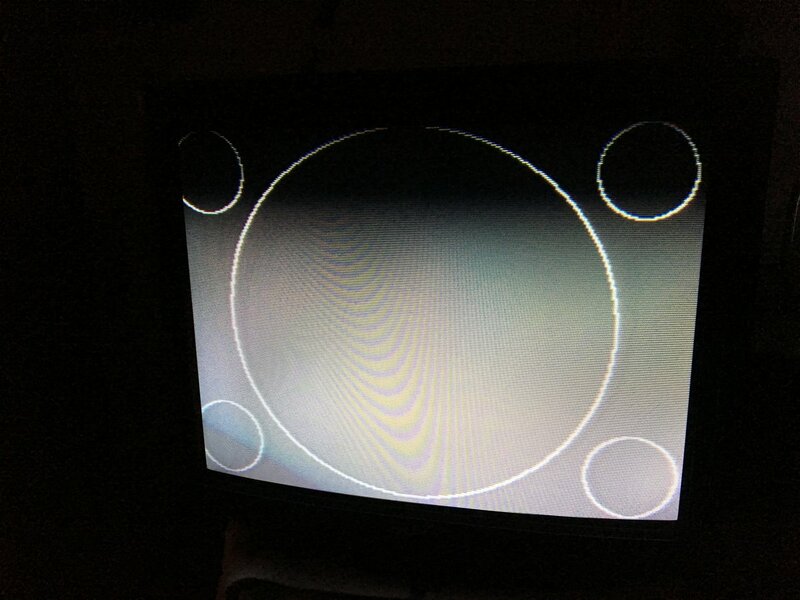 Anyway, as always, any assistance is appreciated, but it looks like it might be Dumpster time for this Trinitron. Go over your connections till you find what you did wrong. I'm feeding 5V into pin 9 on the jungle chip. It's labeled OSD BLK. I tried both pin 5 on IC103 and pin 63 on IC101 as 5V sources. That's the diagram I'm using from the service manual. Is pin 9 the wrong pin for blanking? Should be 5v across a 180R/75R divider. Are you using 16 17 18 for RGB input? If so then pin 9 is not the blanking pin, that is only for the OSD lines. No, I'm using pins 10, 11, 12 to inject on the OSD RGB lines. I have it configured exactly as described in post 1 on this thread. It doesn't seem to mention a divider for the 5V. I probably don't understand the diagram. Where can I buy a 180R/75R divider? I tried a google search but didn't find one. Does your tv have a caption decoder board on it and what jungle IC do you have. Should be a CXA1468AS or CXA1465AS and they should be pretty much the same. If you look at the datasheet for the CXA1465AS you can see pins 10'11 and 12 use digital rgb which would explain why your not getting any video. You need to trace out pins 15 through 18,that should get you rgb. I finally signed up here to ask for help, been messing around with this tv for a month. 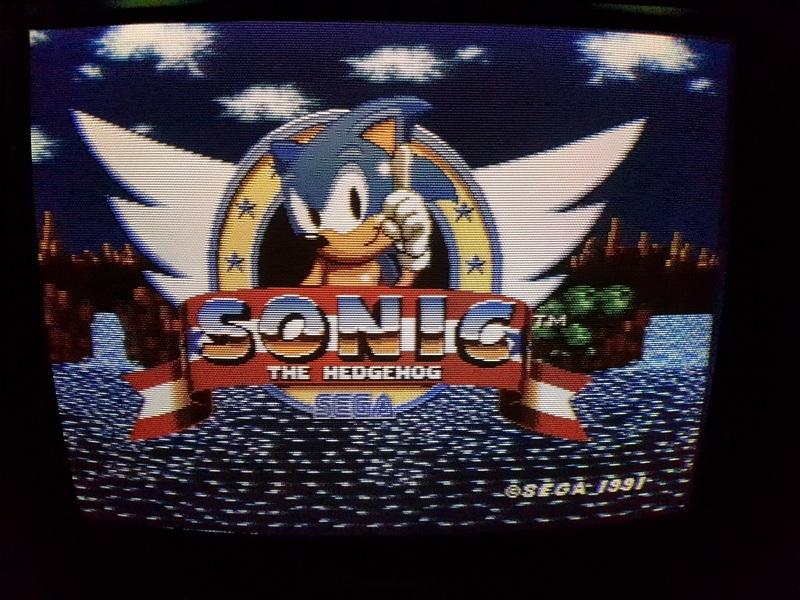 My first 2 RGB mod was successful (Sony & Toshiba). I can't seem to get this TV to look right. The RGB video is very dim and not vivid. Last edited by 3dshogun on Sat Feb 09, 2019 2:36 pm, edited 1 time in total. Yeah that first post is so old and should be axed/edited. We dont use switches anymore. 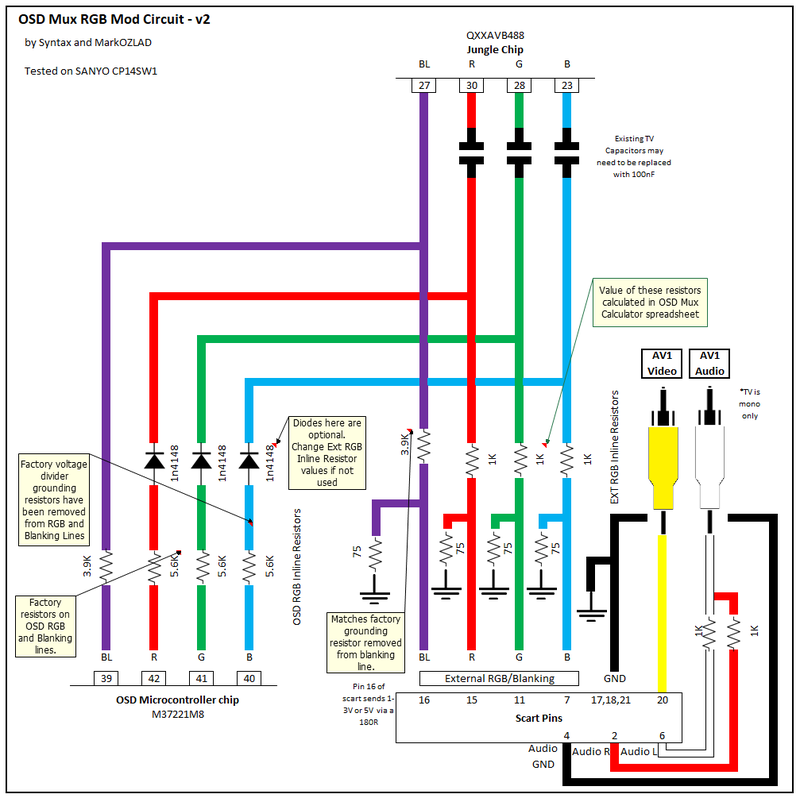 We mix the OSD with our console RGB using cheap passive components. Also if you have external RGB injection like PiP or Teltext use it. My jungle chip is CXA1865S. I am getting good RGB video it just has this white overlay. I must be feeding the wrong voltage into the OSD BLK pin, or maybe OSD BLK is the wrong pin. I will try feeding 5V to the YM pin 14 instead. If that doesn't work my friend is gonna help me throw the tv in the dumpster behind the market late tonight when no one is around. Thanks everyone for your help. Sorry for messing up your forum with my newbie questions. Or you could try doing it properly and putting your RGB signal into pins 15 through 18. It's right here dude,no need to chuck the tv. 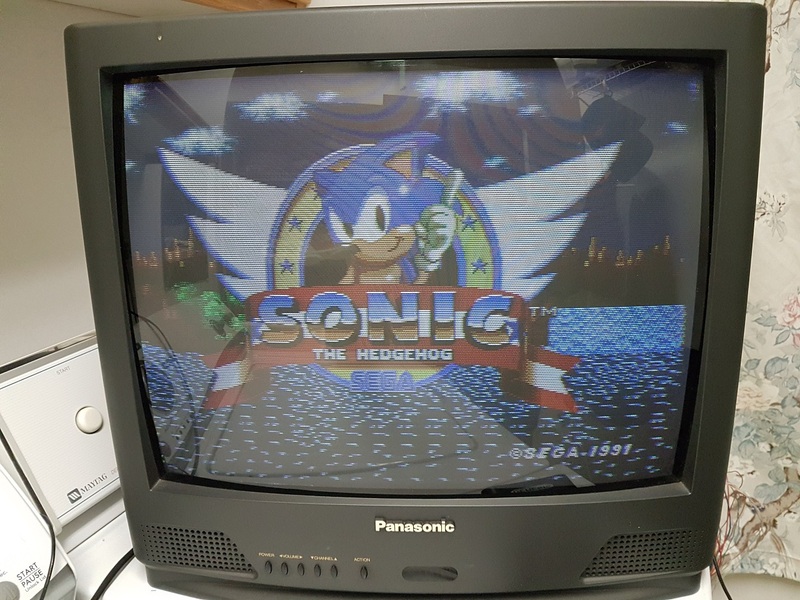 Any Idea if this TV can be RGB SCart Modded? I really don't have time to comb the thread and maintain the original post with lists. 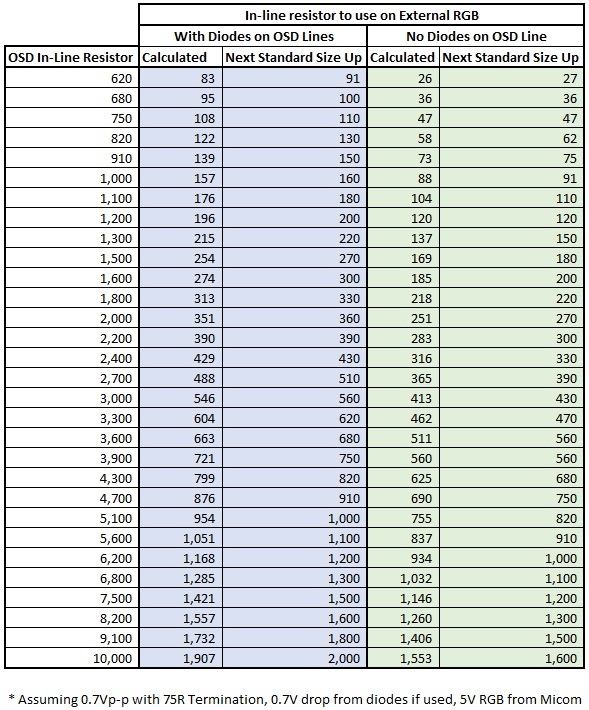 If someone else wants to make a public spreadsheet that can collate important posts, I'm happy to edit the first post to link to it instead of editing the list of links repeatedly. I did a KV-27FS12 with OSD mix and I get RGB but colors are way bright and bleeding compared to composite. I terminated with 75 Ohms initially, bumped it up to 100 and didn't notice improvement. Went to 150 Ohms next time and it's still the same brightness. What gives? Tested my added RCA RGB inputs and they read 150 Ohms so they are terminated. I tried to jump another 75 Ohms on the red output on the back of the genesis to ground with only red hooked up to CRT, got super dark, almost couldn't see anything. Why is it such a big different with another 75 Ohms now? If I jump Composite out to red with 75 Ohms color intensity lowers a good amount and bleeding goes away and picture is way more sharp. I'm confused here. Maybe my blanking voltage is 3v and not 5v? Or maybe my RGB voltages are too high and jungle wants .5v instead of .7v I don't know. How can we tell? Page 36 has the jungle schematic. 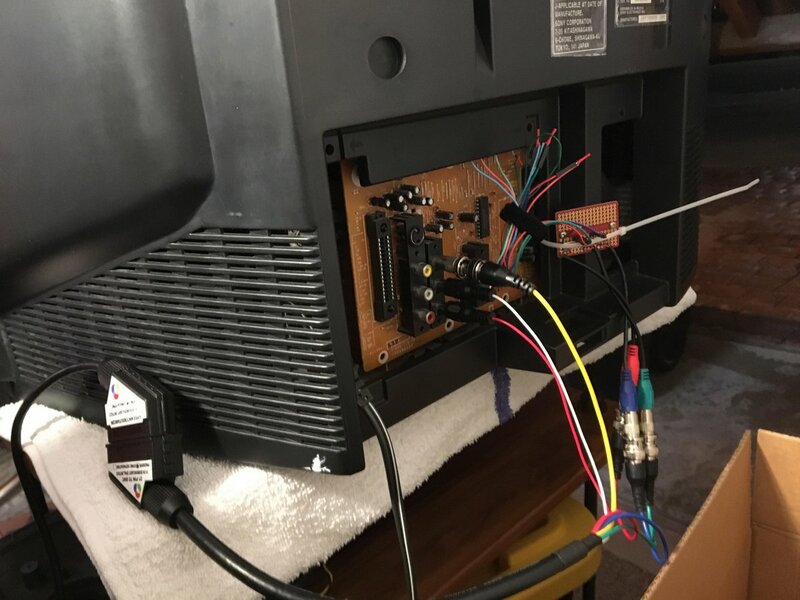 Looks like this TV has a TB1253AN Jungle chip that should be able to be modded to accept external RGB. Please don't look at the first page for how to mod it, will save us having to re-educate you. Guys, it worked!! You guys are the best, no matter what those youtube commenters say! Last edited by err0neous on Wed Feb 06, 2019 5:16 am, edited 1 time in total. Good job err0neous. It looks like you are getting color bleeding like me. You can see the red bleeding. I tried a lower inline resistors on the RGB inputs, 600 Ohms down from 900 Ohms. This brought my RGB OSD voltage to .53v but picture looks the same. Then tried upping OSD external OSD resistor from 2.2 kOhms to 5 Kohms. This brought OSD blank voltage up to around 3.0v but now I get no color on RGB sync over svideo. When I switch to sync on composite I get colors and they are less bright, still need to adjust it though and get it a bit more brighter and hopefully it was sync on svideo again. Any Help would be appreciated. this will be my first time. Any Help would be appreciated. Never done a Mod of this scale before. I am pretty awesome at soldering, been doing small SMD soldering for PCB for game console modding for years. I have a basic Idea of what I need to do. But with the conflicting info about not reading page 1 and such. I am curious how this all works now. So yes please Any help would be extremely appreciated. 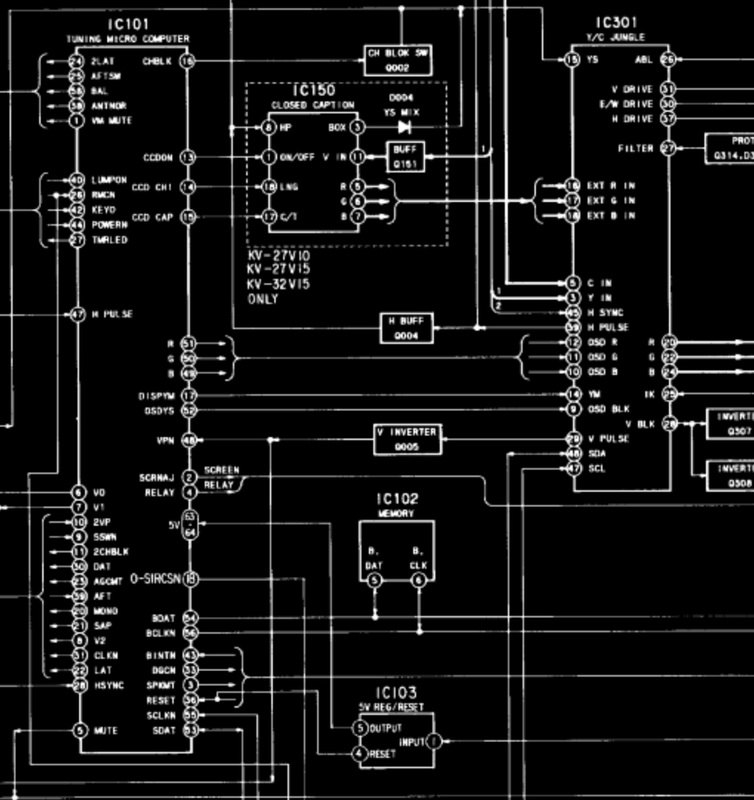 Without a schematic it's difficult to know exactly how yours will be modded but I'd be willing to bet it's a candidate for the OSD Mux method. You can probably find the posts by looking at my profile. You can see a case study in my thread for Sony BA-5/BA-5D where we applied the method to a sony. By using the OSD Mux method you get to keep your OSD when in RGB mode. The OSD RGB circuits of many TVs are similar, you have 5V RGB from the microcontroller going to a inline resistor (R1) and a ground resistor (R2) to make a voltage divider, these then go into a cap and then into the jungle chip. For the mux method we remove the ground resistor and feed in our RGB via 75 Ohm termination resistor and a new inline resistor that we have to calculate the value for (it's easy, there's a table). The new inline resistor and 75 termination resistor effectively replace the removed OSD ground resistor and become the new R2 of the OSD RGB voltage divider. Oh, I mean you need to find the schematic or build your own by inspecting the chassis. It's part of the task. If you do that I'm willing to guide you. Was busy replacing some capacitors on that board, but now its time to mod it. Last edited by HellRazor on Thu Feb 07, 2019 2:34 am, edited 2 times in total. Well the TV I was gonna get fell through.. It's a 27 inch Sanyo. I found all the IC's and such.. But I can't tell if it is doable for RGB mod. This look like the spot??? Guys, I am at a loss. I'm sure it's because I'm tired so I'm not going to mess with this anymore tonight. If you have an auto sensing rca jack (green one on component if it matters) what makes it let the signal through? I've probed around with a continuity meter but this thing has me confused as I can get. We are talking the green component jack only here as I used it for sync. With no RCA jack inserted, pin 1 (left) has continuity to pin 2 (middle) and to pin 3 (right). Pin 2 and 3 also have continuity. In other words all pins have continuity to each other with no jack inserted. At this point with no jack inserted I can't get sync from pin/contact 1, just a rolling picture. If I insert an rca jack (hooked to nothing) I get perfect sync from pin 1. With the RCA inserted Pin 1 and 3 have continuity, but NO continuity between 1 and 2, and NO continuity between 2 and 3. I know I had this working so I didn't have to put a dummy rca end into the jack before. Does anyone have any ideas what the heck I did to get this working before? I imagine this is something stupidly simple but again, I'm tired and this just isn't making sense at this point.